Developer Viscous Cycle have taken the helm for the follow-up to Earth Defense Force 2017. Taking place in the fictional town of New Detroit, the gargantuan bugs are back in an epic scale battle amidst a completely destroyable city. 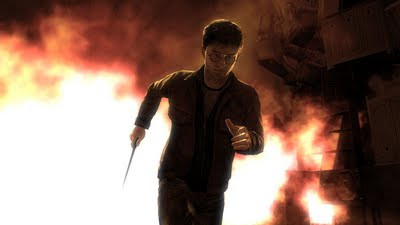 The first Harry Potter and Deathly Hallows wasn't very good, but I have hopes the second way will be a better game. The developers took the criticisms of sloppy controls and a disjointed narrative and have sought to improve the game in many ways. First of all, the spell wheel of the first game is out and in its place there's a new system where spells are cast by tapping or double tapping the face buttons -- sounds much easier. Furthermore, the game will progress linearly, which for some may seem like a step backwards, but it's good in the case of Harry Potter because it means all those irritating and pointless side quests are out. I'm looking forward to this final battle to locate and destroy Voldemort's Horcruxes, which is has epic Death Eaters and Snatchers battles along the way. Splosion Man was one of the best games to ever hit the Xbox Live Arcade and now two years later almost to the day Twisted Pixel Games is back with a rather flirty sequel. When a bunch of scientist decide to throw a party in their high-tech lab, a spilt bottle results in a chain reaction that sends a surge of energy over to a nearby experimentation platform, creating the pink and highly volatile Ms. Splosion Man. Get ready for another explosive 2.5D platforming game involving puzzles, traps, and plenty of enemies for Ms. Splosion Man to blow up.